My partner Catherine recently launched a website called London Hiker, which aims to help London based hikers get out there with their hiking boots on. There’s tips, ideas and articles about frankly why you should do such things in the first place. And recently one of them, well it raises a fantastic point. The piece, Londonders – Is perfectionism stopping you from going hiking? tackles that thorny issue of people who come up with excuses for not walking. And being in London seems to be a huge one for people. For starters there’s this massive thing that some people have that there’s no proper walking in the South East. And that’s nonsense. Okay, so we don’t have the wonderful fells of the Lakes, or the wild moorland of the Highlands, but there’s some good stuff down here. Some time ago Trail Magazine did a survey of its readers and one of the questions was favourite coast walk. And I thought about it, about all the coasts I’d walked and I knew, instantly, which one it was. Stuff the South West Coast Path. Ignore the coastline near Robin Hoods Bay. Forget it all. For me, there was no contest. 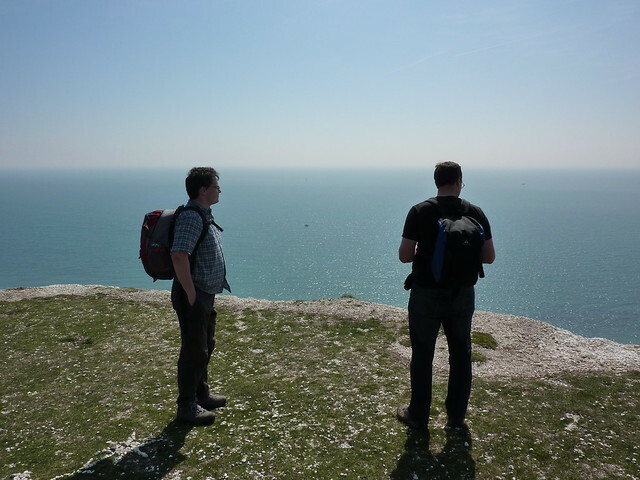 It was Seaford to Eastbourne, via the Seven Sisters and Beachy Head. 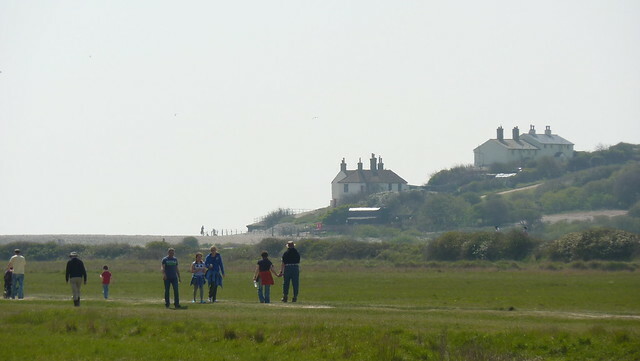 The footpath from Seaford takes you past a golf course and in to a nature reserve. And soon you get a fantastic view of where you’re heading too. 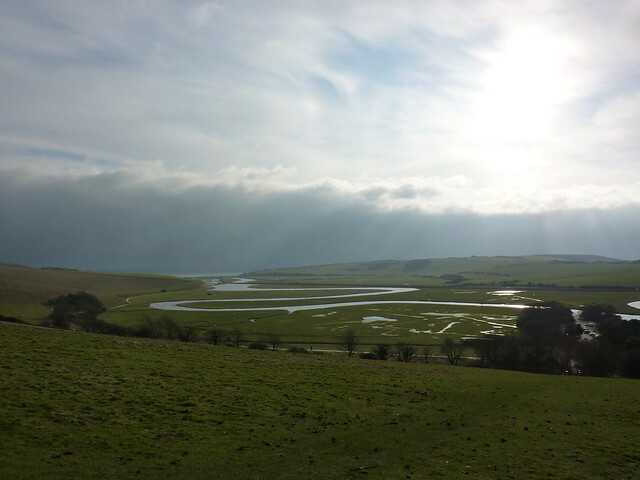 Cuckmere Haven, a fantastic estuary which almost feels wild and remote, and the cliffs you’ll soon be on. You have to head inland to allow you to get round it, but here you join the South Downs Way and start climbing up the Seven Sisters. These are a series of undulating white chalky cliffs on the south coast of England, and for my money, this is one of the most outstanding pieces of scenery in the whole of the South East. Much of this amazing landscape is owned by the National Trust and for good reason. Some way along you come to Birling Gap, a tiny collection of houses and a former hotel now owned by the National Trust. Climb down the many steps to the beach and you can see the white cliffs literally crumbling away. And when you’re up on the top, why not stop off for an ice cream before heading up to the tiny, evocative Belle Tout lighthouse. Now a hotel, the tiny building sits there, amazingly close to the cliff edge (it’s been moved further back already) with a fantastic view looking out to the Channel. As you pass the lighthouse, you slowly get closer to Eastbourne. 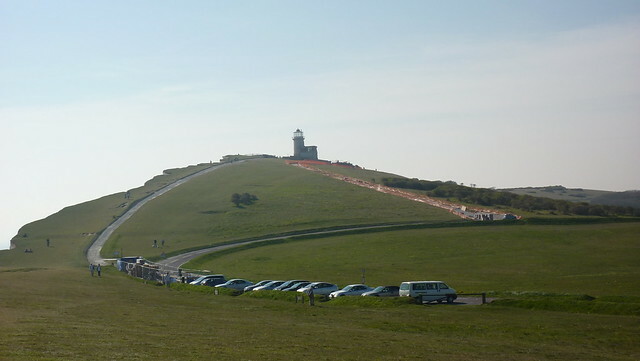 On a fine day open top tourist buses will be zooming down the nearby road at Beachy Head. Then you see the seaside town ahead of you. Slowly the hill descends and you finish it all off with a walk down the elegant promenade, towards the pier, before heading off to the train station to go back home. It’s one of my favourite walks in the world. Nothing can beat it. I’ve done it on bright glorious days, and in the pouring rain. I’ve done it surrounded by good friends, and I’ve walked it alone. I’ve done it when I needed cheering up, and I’ve trod those paths whilst I’ve been as happy as Larry. And you know what? So few people ever seem to be there. Well British people anyway. Go up on the Seven Sisters on a sunny day and it’s full of foreign tourists. One of the finest pieces of scenery in the South East, nay, Britain, is right on the door step of most Londoners yet you would be astounded by how few people have heard of it. It’s just over an hour on the train from London Victoria. The walk’s a doddle to navigate. You’ll find instructions in the Time Out Book of Country Walks volume 2 but it’s dead easy to work out from a map too. And once you’ve done it you will know the beauty of it all. And from thereon in, you will not accet any arguments that there’s no fine scenery in the South East; that it’s just a concrete box full of roads, smog and housing. If anyone ever says that to you, then you have my permission to slap them in the face with a wet fish. And when you’re done, take them to the Seven Sisters and show them how wrong they are. Totally agree. 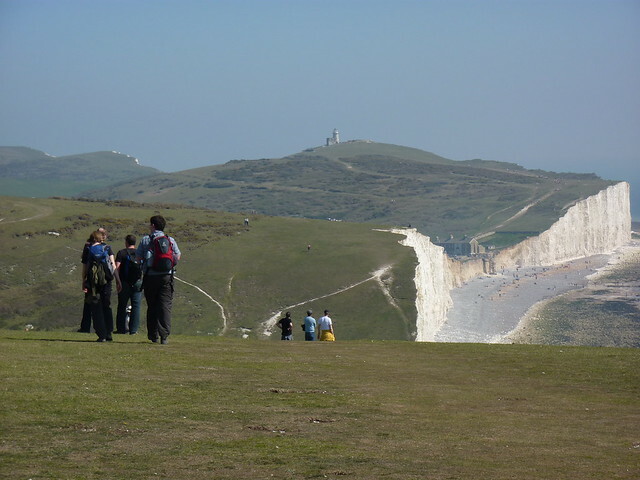 There are plenty of fantastic walks in the South East, and especially in the South Downs and along the coastline. We have just moved to a village in the Downs and chose it especially so that we could do some wonderful walking from our front door! First Published: 21 March 2012. Last Updated: 2 July 2014.